Matt began teaching Breaking at The Dance Collective in 2015. He started dancing at the age of six and found his love of breaking when he was eleven after being taught originally by Perth B-boy ‘Edit’ Maradona in 2009. Matt has since moved to TDC where he was able to train under Australian B-boy, Pepito as well as participating in workshops of globally known B-boys such as Johnny Yayo, Justroc, Puzzles and Poe One. Since then, Matt has developed into one of Perth’s young upcoming B-boys who is well known in the Perth breaking scene. He believes that all dancers should have a love for the music before the dance, especially in breaking where it is important that your own personal style is formed from the music. 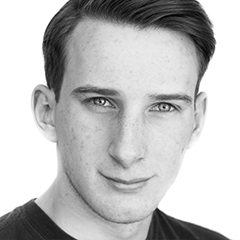 Matt began teaching primary school aged dancers at TDC in 2015 and structures his classes around strength, conditioning and fundamentals of the style.